Get a sleek look with hidden fasteners and a flat front profile. 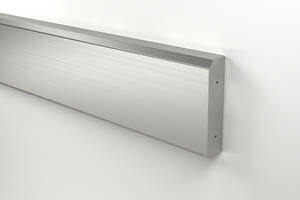 The 31SS Stainless Steel Wall Guard provides exceptional impact resistance in high abuse areas. A sleek look with hidden fasteners and flat front profile.